Litigation funding just got a bit more difficult in Colorado. The Rocky Mountain State's Supreme Court ruled en banc yesterday that consumer litigation funding companies provide small consumer loans, akin to payday loans. The ruling means that consumer litigation funding companies will now be required to meet the standards licensing and disclosure standards as, say, the Money Tree. If you're not familiar with consumer litigation funding, it works something like this. Plaintiffs take out small loans, usually around $1,500, while they have a tort claim pending. The cash isn't meant to fund the litigation, but to aid borrowers while they wait for their case to conclude -- though they're expected to pay back the funds from their awards. The longer a case drags on, the higher the interest gets, but plaintiffs need not pay back anything if their proceeds are smaller than their funding. The funding has plenty of critics. The U.S. Chamber of Commerce claims it contributes to excessive litigation. 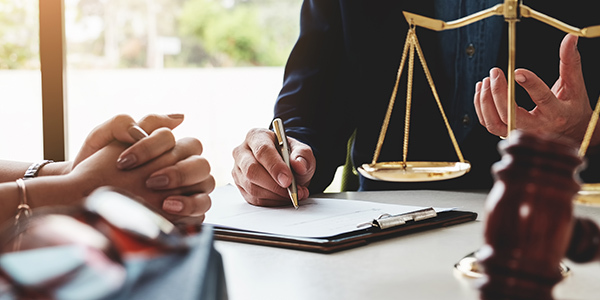 Consumer lending advocates argue that funding companies charge exorbitant rates and pressure plaintiffs to settle cases for less in order to quickly repay the companies. If the scheme sounds like a cash advance, that's because it is. And in 2010, the Administrator of the Colorado UCCC issued an opinion stating as much and requiring the companies to comply with the state's licensing and disclosure procedures. Two national funding companies, Oasis Legal Funding and LawCash, argued that their payments to plaintiffs were sales and assignments of assets. They were simply purchasing an interest in the litigation outcome, not providing a consumer loan. Colorado disagreed, finding that "litigation companies that agree to advance money to tort plaintiffs in exchange for future litigation proceeds are making 'loans' subject to Colorado's UCCC even if the plaintiffs do not have an obligation to repay any deficiency if the litigation proceeds are ultimately less than the amount due." The ruling could affect the personal injury litigation industry in Colorado and similar challenges to litigation funding may be taken in other states. Most lawyers, however, will be spared from the ruling's impact. The ruling effects small loans paid directly to consumers as they pursue personal injury claims, not the litigation funding that often helps keep firms afloat.